AMD's Radeon R9 380X fills a gaping hole in the world of graphics cards, and it's competitively priced, too. 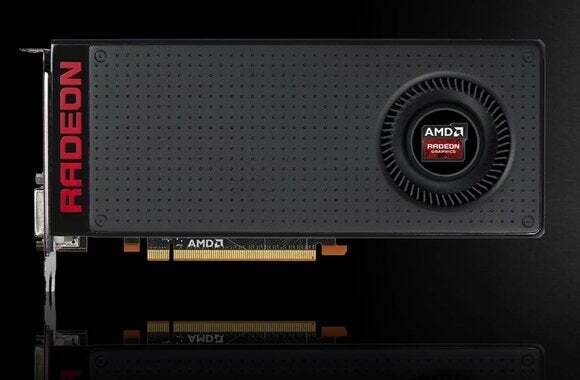 With the launch of the new Radeon R9 380X, AMD’s stepping up to fill a massive hole in the graphics card universe, between the “it’s solid for most games at 1080p” Radeon R9 380 / GeForce GTX 960 tier at roughly $200, and the “This rocks for 1440/high” R9 390 / GTX 970 at roughly $300. Nvidia hasn’t bothered releasing a 960 Ti (or what-have-you) for the GeForce 900-series family, and when AMD refreshed its entire Radeon lineup in one fell swoop this past June, there was no R9 300-series equivalent to the older Radeon R9 280X. The crucial $200 to $300 price point lay dormant, and gamers looking for modern graphics cards with uncompromising 1080p chops were left wanting unless they wanted to splurge on one of the $300-plus options. Frankly, $300 is over the budget of the vast majority of gamers, and the GTX 970 and Radeon R9 390 are overkill if all you want is to hit 60 frames-per-second on your 1080p with all the eye candy cranked to 11. 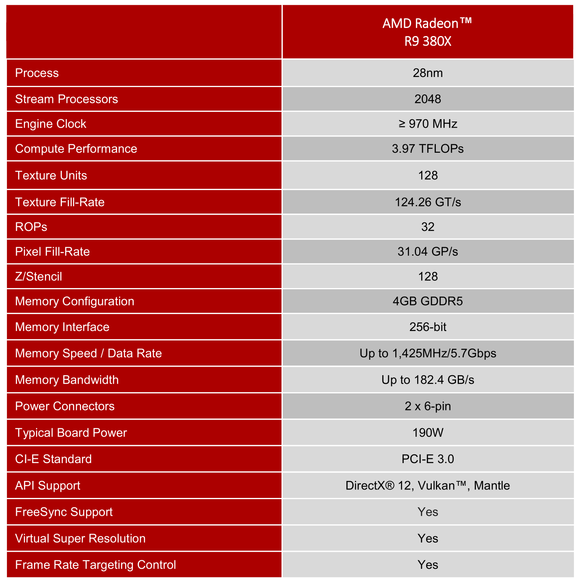 Enter the $230 AMD Radeon R9 380X. You read that right: not $250, but $230. This is why healthy competition rocks. Rather than being a cut-down R9 390, the Radeon R9 380X is a beefed-up R9 380: more stream processors, more memory, faster memory and core clocks, et cetera. Where the R9 380 offers GPU clock speeds up to 970MHz and a pricier 4GB memory option, those are both the starting point for the new card. The Radeon R9 380X is basically the Tonga GPU (which first appeared in the older R9 285) unleashed—which, as one of AMD’s newer GPU architectures, means it has full support for all the latest Radeon software features, like FreeSync, Frame Rate Target Control, and Virtual Super Resolution. The chart above shows nitty-gritty details for the reference R9 380X, but don’t expect to see cards packing those specs on store shelves today. AMD says the first wave of R9 380X products will be overclocked, custom-cooled models by a wide range of AMD partners like VisionTek, Asus, XFX, Gigabyte, HIS, PowerColor, and VTX3D, with prices for custom variants starting around $240. AMD sent us a Sapphire Nitro R9 380X for review. 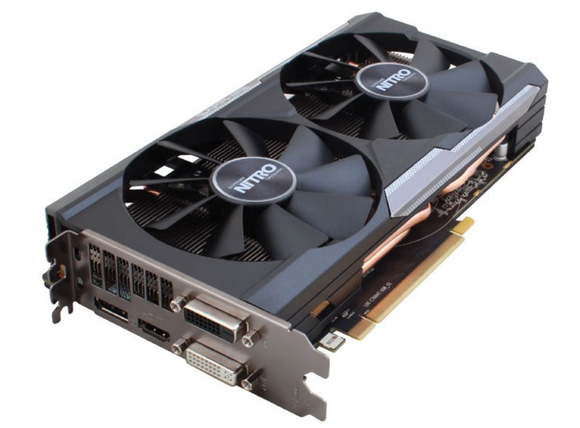 When I saw it, I couldn’t help but smile: Sapphire recently sent us a Nitro R9 390 for testing, and as you can see in PCWorld’s massive graphics card roundup, that card’s cooling solution is no joke—keeping even the power-hungry 390 cool and ludicrously quiet. The custom Dual-X cooling solution Sapphire slapped on the 380X isn’t quite the same as the Tri-X cooler on its Nitro 390/390X cards, but it still proved effective (as you’ll see later) and almost utterly silent. There’s no doubt about it: Sapphire’s cooling solutions are rapidly shaping up to be one of the best around, and the thermal control it provides helped Sapphire crank this card’s core clock speed to 1040MHz and its memory clocks up to 6GBps. 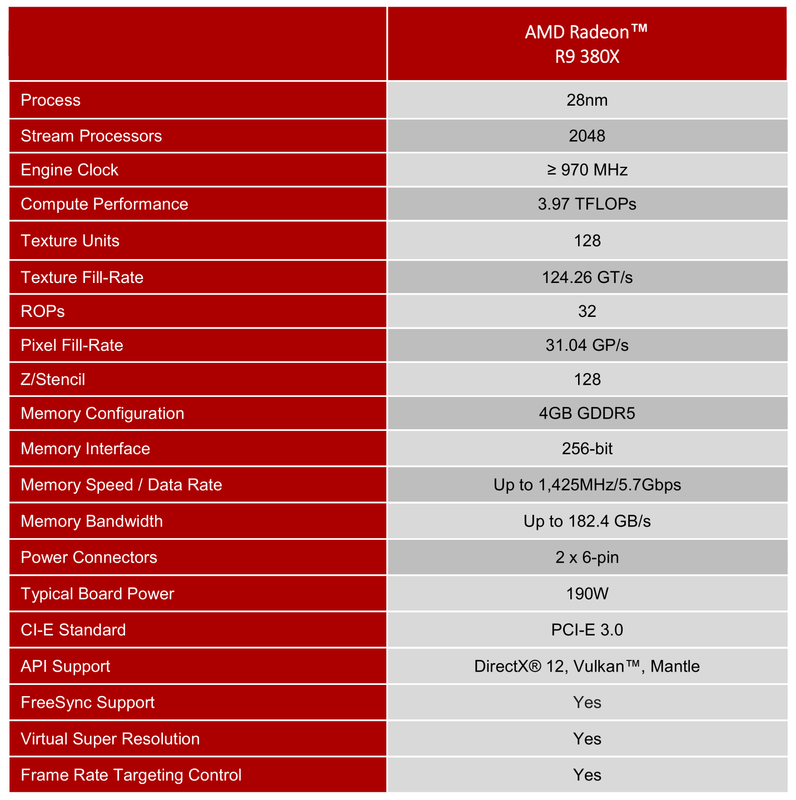 AMD says most of the 380X cards available on day one will feature 50MHz to 60MHz overclocks, much like this one. 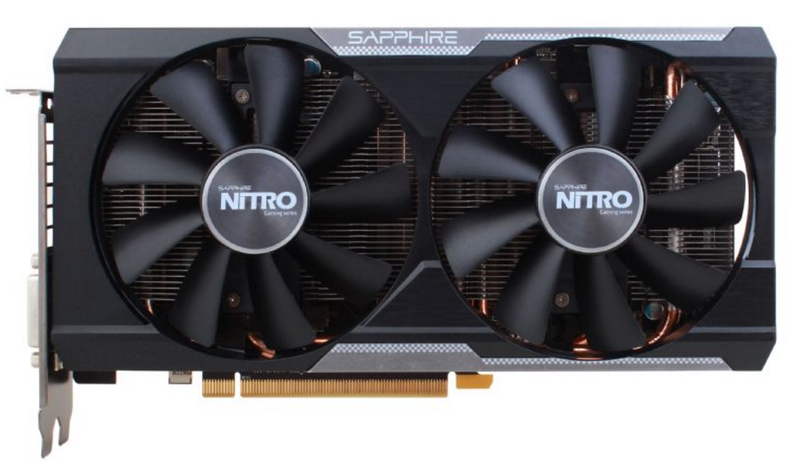 The Sapphire Nitro R9 380X. Sapphire’s Nitro R9 380X features many other niceties as well: thick copper heatpipes, dual ball-bearing fans, black diamond chokes, a card-length heatsink with horizontal fins, and an eye-catching backplate with a deliciously futuristic design. It’s a sturdy, premium-feeling card. Connectivity-wise, there’s DVI-D, DVI-I, HDMI, and DisplayPort, the last of which is a must-have if you’re considering going with a FreeSync display (which is recommended if you plan on using it for 1440p gaming, the niche AMD’s pushing it for). The R9 380X requires a pair of 6-pin connectors to draw power, with a 190-watt TDP rating. Windows 8.1 Pro. The testbed hasn’t been upgraded to Windows 10 yet, though we plan to do so once DirectX 12 games start rolling out. If you want to read every nitty-gritty detail about PCWorld’s testing rig—and see its birth—check out our DIY build guide for the machine.